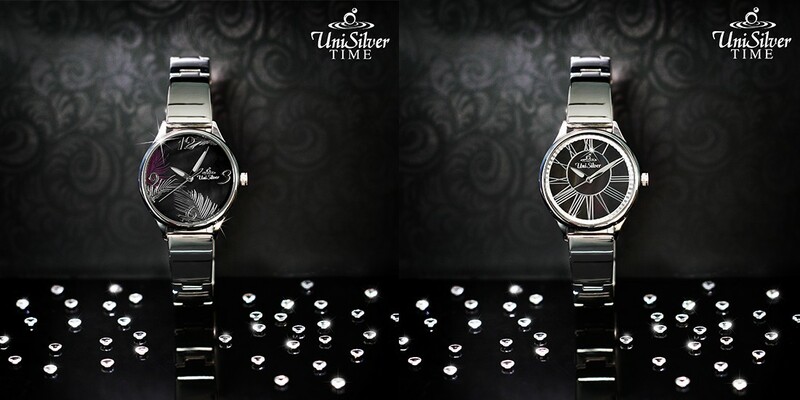 The newest watch collection of UniSilver TIME has just been released - sorry scratch that, oh wait, you can't, because their lenses are made of sapphire glass. That's right, the lenses or crystals of these watches are made from sapphire glass. What's sapphire glass, you might ask? Sapphire glass is a synthetic version of naturally-occurring sapphire (one of the toughest minerals). It could withstand impacts from a waist-high drop. It's also unbelievably scratch-resistant: the only thing that could scratch it is diamond. This collection is perfect for those who are a bit carefree with their accessories and for watch collectors who enjoy keeping their watches in pristine condition. Because let's face it, don't you just hate it when you see scratches on the lens of your watch - especially when it's brand new? For some, they can't help but get scratches on the lenses due to their day-to-day activities. With our newest collection, the lenses of these watches won't get scratched with your daily grind (or extreme activities), thanks to the properties of the scratch-resistant sapphire glass. So now, you have one less thing to worry about fashion-wise as you mind other more important matters. 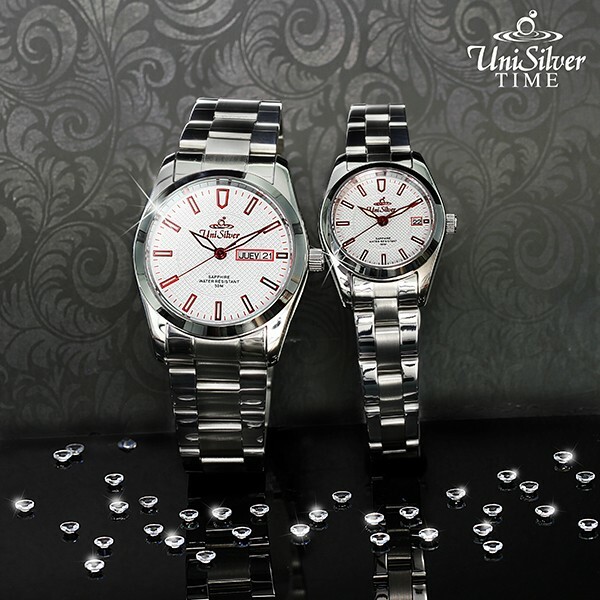 With UniSilver TIME, you are always guaranteed a vast selection of different styles to choose from. 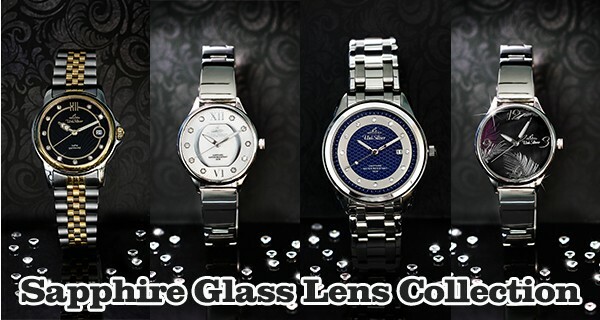 Here are just few of the watches from our Sapphire Glass Lens Collection. Looking for a watch to be your constant companion through all your activities? 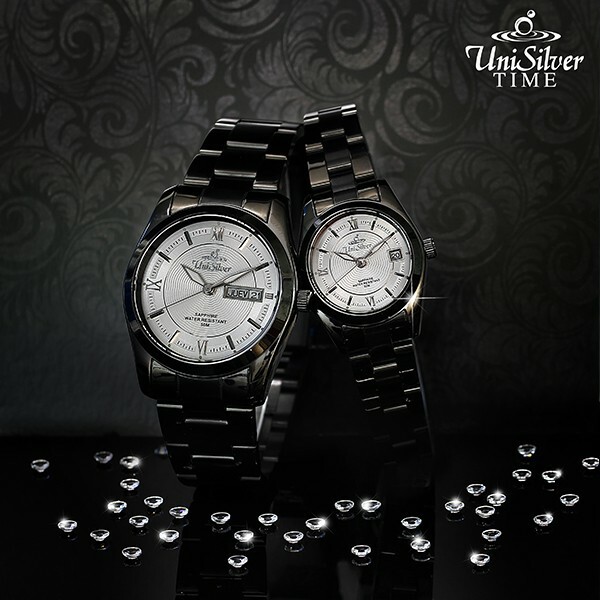 What's more perfect than the UniSilver TIME Teisu-Elements watch? Teisu literally means "constant" in Japanese. Match this watch with almost anything from your wardrobe, and now with its sapphire glass lens, you can take it anywhere you go. Don't let your watch ruin your sense of adventure. Rough sands of the beach? Hard rocks of the mountain? Or even just the tough city streets? Worry not for they can't scratch this! These watches also come in other colors. You can even buy it as a pair for you and your partner and together take on different adventures! 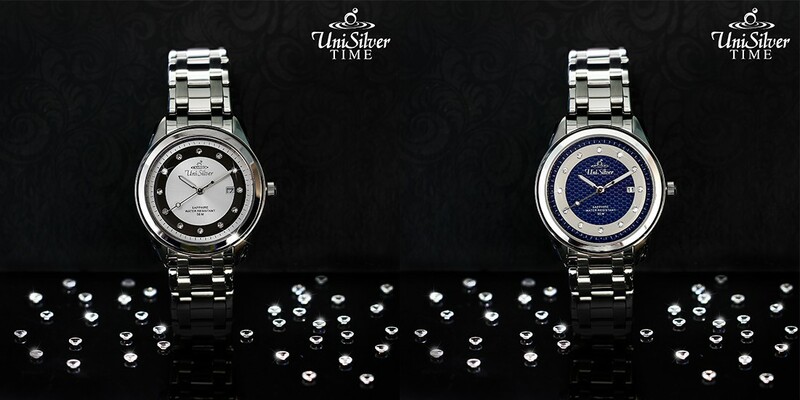 UniSilver TIME loves to celebrate the wonderful bond of every couple. 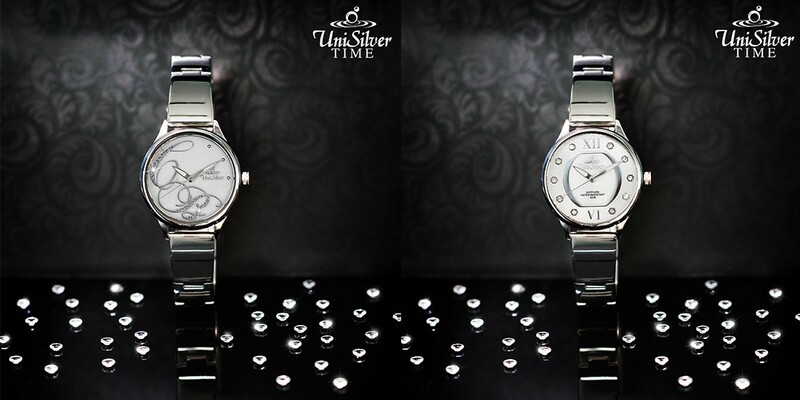 Just like your love for each other, the lenses of the UniSilver TIME Vez Pair Watches are highly-resistant to flaws. Capture the "magic" of your love with this hypnotically majestic masterpiece with craftsmanship unlike any other. Say "I love you forever" with its classic and elegant design. Get one for you and one for your partner and together let your love be "unscratchable"! Treasures in this world are few and far between, and the real ones last forever. 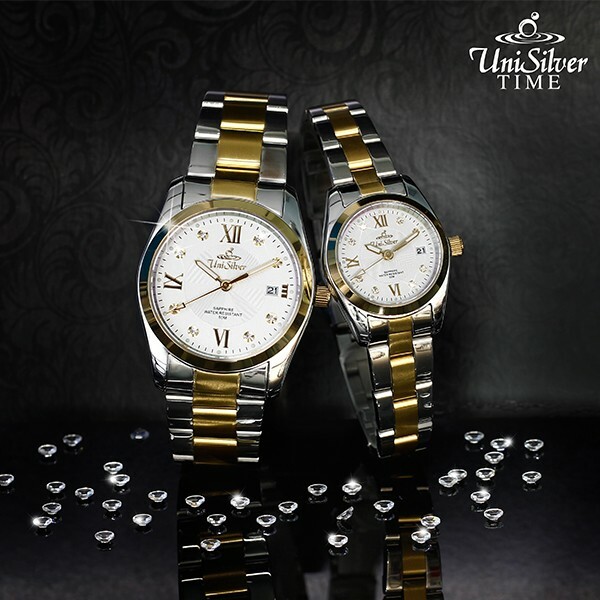 With a UniSilver TIME Galleon watch, that treasure can be found right at your wrist. Stacked with amazing craftsmanship and perfect machinery, this watch is a definite keeper. Pair it with your best attires and be golden! And with the sapphire glass lens, this treasure is guaranteed to last for a long, long time. Trust should be "unscratchable". A promise is a promise and you must be able to deliver- like our promise to you that we'll provide high-quality timepieces. Made with the best materials the industry has to offer, Steadfast will win your heart many times over with its intricate design and ease of slipping into any style you pair it with. Your trust with us is something we wouldn't dare scratch. The classics are the style that can never be forgotten. They always make a comeback and are more appealing in the contemporary setting than before. You can pair them with anything and they would give you that elegant and sophisticated look. 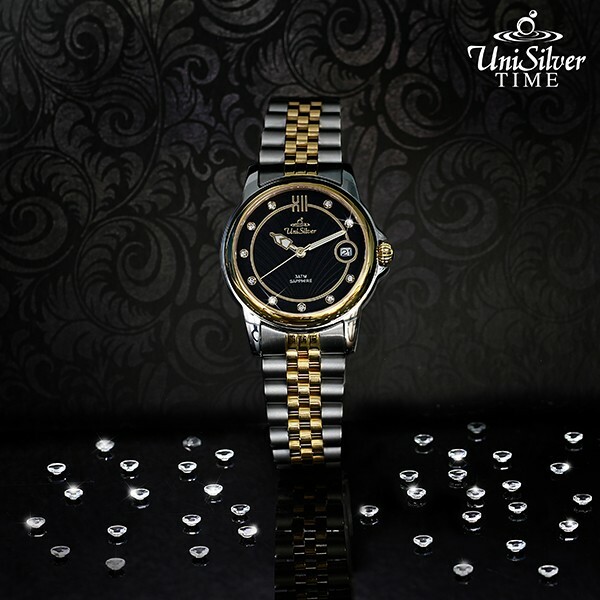 UniSilver TIME Marjorelle is reminiscent of the classic Renaissance Period. Its quintessential curves and lines stand the test of time. Truly, the design of this timepiece would endure trends and fashions. Thanks to its sapphire glass lens, you are guaranteed that it will last remain scratch-free for years on end!! Whoever told you that once you grow up, you have to "scratch off" your imagination? 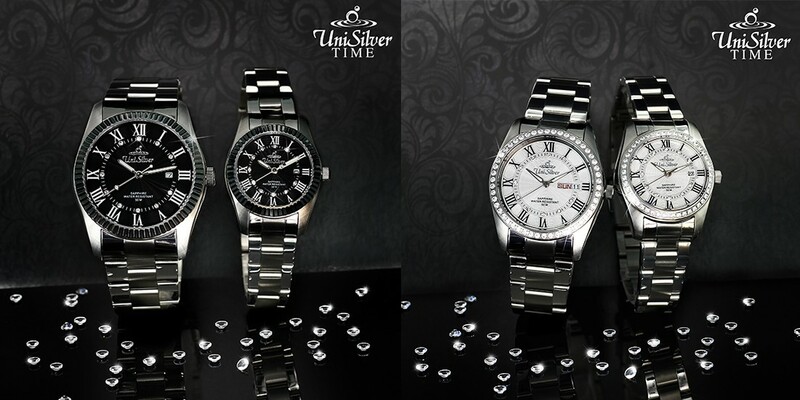 Let your wonderment burst out and let the UniSilver TIME Majestria bring wonders to your wardrobe. You can pair it with your casual, formal and even semi-formal attires. Be brave enough to try new things. With its scratch-resistant sapphire glass lens, there's no limit for what your imagination could bring. Be bold, be brave and best of all - be creative! Filipino talents are something to be proud of. You can never scratch them off when talking about world-class quality. And to celebrate these talents, we have the UniSilver TIME Calessi Series. The quality of materials used, especially the extremely scratch-resistant sapphire glass, is to make sure this watch keeps ticking and bringing it on no matter what happens - just like two of the endorsers of UniSilver TIME, Juan Karlos Labajo and Darren Espanto and all the talented Filipinos out there who continue to wow the world! The beauty and grace of a woman is flawless - whatever her age, race or body type is, and however she decides to look. 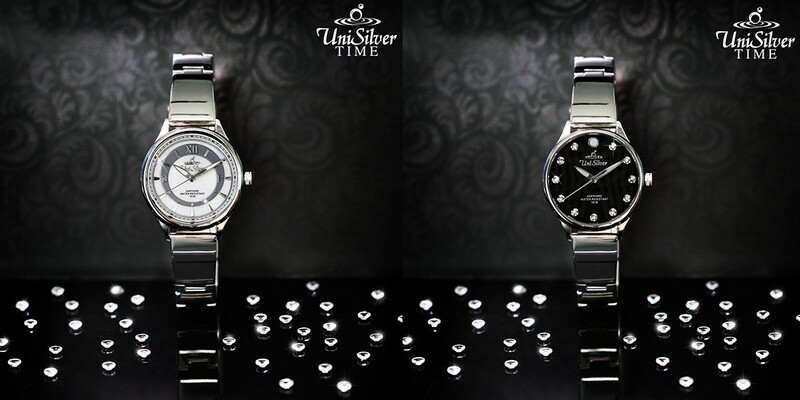 Celebrate that beauty with the UniSilver TIME Symmetria Series. The curves of the bracelet, the charming dial that sparkles with crystals and the clear scratch-resistant sapphire glass evoke a delicate loveliness. 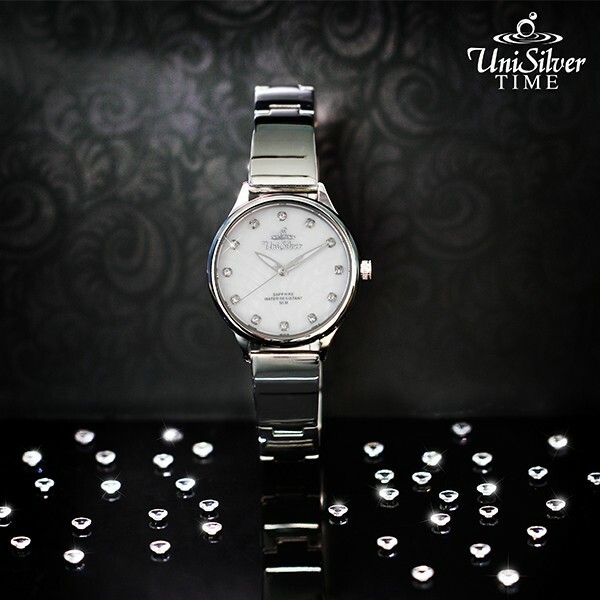 This classic timepiece enhances your femininity; wear it with your best outfits and show the world the perfection in a woman's beauty! Don't let obstacles and adversities pull you away from your focus and goals. For your watch, we got you covered with our Sapphire Glass Lens Collection. With this watch you can take on the world unscratched and unscathed! About the Author: An aspiring writer, blogger and watch enthusiast. Usually spends his free time writing short stories or poems in his blog or just on any paper available nearby. 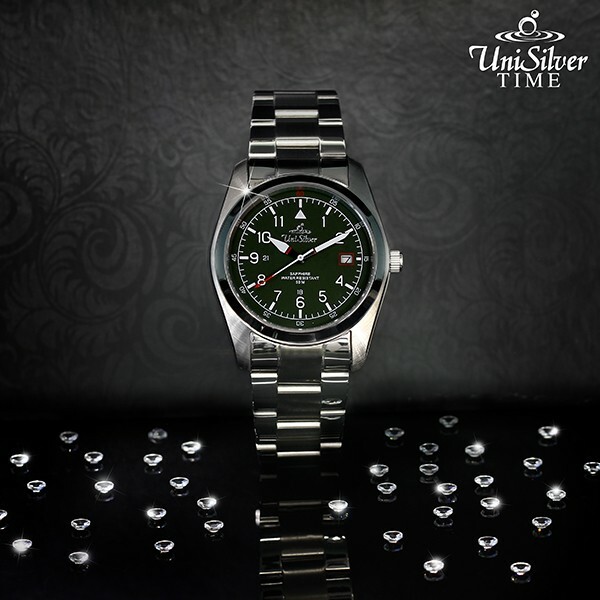 Your new correspondent for anything and everything about UniSilver TIME.